Well done; hairiness, shininess and the leaf structure all show nicely. I love these plants. 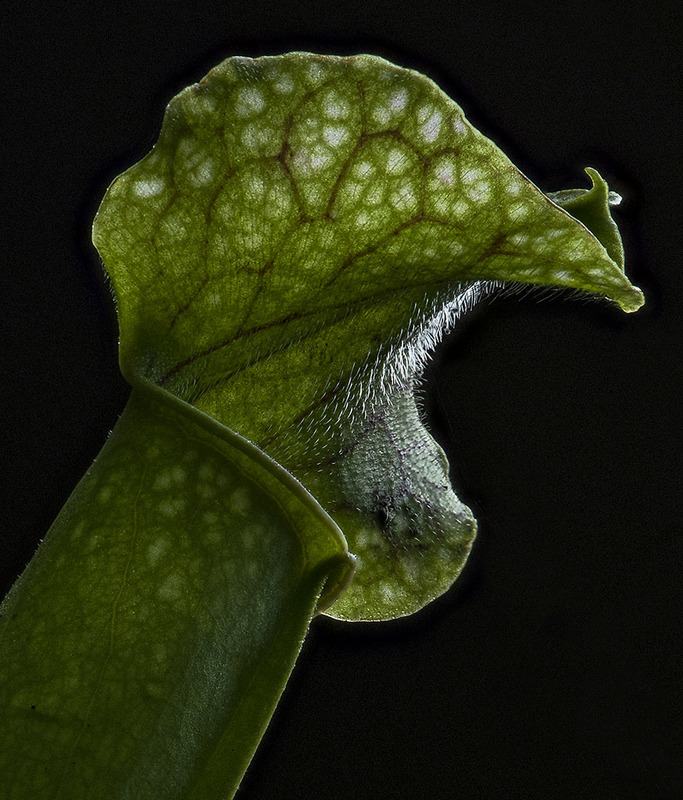 The genus is Sarracenia. Did you find this in the wild? It looks a bit oddly colored for a pure species, might be a hybrid if you found it in cultivation. Lou, This one may well be a hybrid. It has been living in my yard for some time, but originally came from a supplier; I think it may be incompletely developed though, and will perhaps be more typically colored as it matures. I had a S. purpurea venosa colonizing my bathroom shelf for a long time. A bit of a Triffid when it flowers!